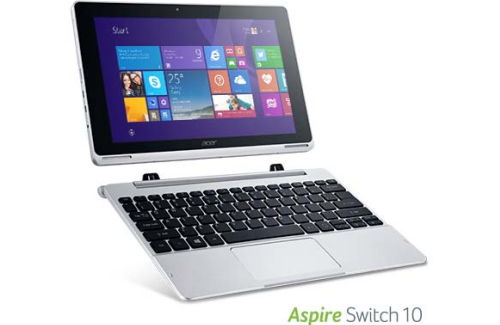 Acer Aspire Switch 10 is ACER’s entry to the hybrid laptop category. 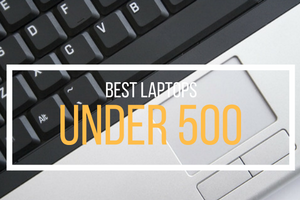 Most likely, it’s the 10.1″ size that will determine whether this (or any similarly sized) machine makes your shortlist. Detachable; the tablet half holds almost all of the innards, including the battery. For the size it’s just right as a tablet, and feels good and light in the hand when freed of its keyboard, though the bezel takes up a great deal more space than average. As a consequence of that size, the keyboard is a little cramped, but the Chiclet keys feel good and they have been spaced apart, it seems, as widely as possible to minimize typos. 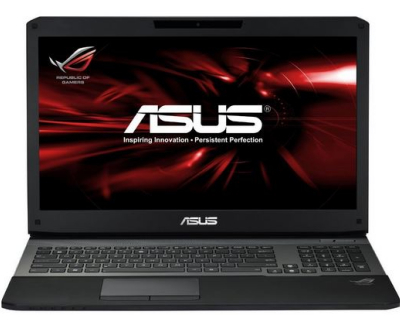 A quad-core 1.3GHz Atom is coupled with 2GB of RAM, a 500GB hard drive and 64GB of SSD storage. 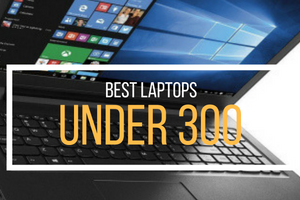 For the price, it’s a reasonable level of performance and is certainly sufficient for day to day tasks. 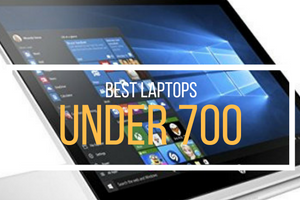 Looking at this as a relatively powerful tablet with an attachable keyboard is probably more appropriate than considering it as a just-enough laptop with a detachable screen. The locking mechanism is the big innovation, here. It’s magnetic and doesn’t need any kind of button or release. Just yank it free and plop it back. 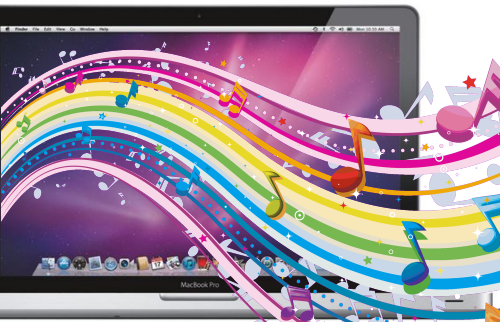 The magnets are very powerful and really grab hold of the screen when it’s within range of its mighty magnetic field. In our week of daily use it never let us down, despite carrying it around with one hand, the heavy-ish screen dangling down but always attached. The screen can be placed facing rearwards, which then also lets you fold it over and stood upright in ‘tent mode’. The IPS screen is good, and despite being glossy it didn’t act too much like a mirror. 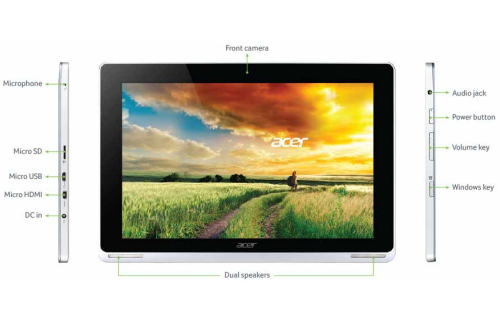 Acer Aspire Switch 10’s camera (2MP) is more than enough for video calls, Inbuilt speakers delivered adequate volumes and fidelity which you can enhance by using external speakers or headphones. It also includes internal mic for sound recording, a Micro USB connector, standard USB port and Micro SD card slot. 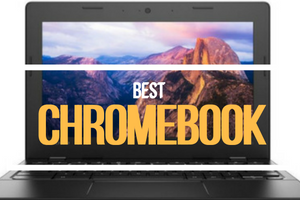 It also includes Quick and Setup Guides which you can read both in English and Spanish and it is very helpful if you are having a hard time going through the laptop (which we highly doubt). As for the battery, it can last for 8 hours and charging time (battery empty) takes roughly around 2+ hours. Apart from charging the battery, the AC adaptor can also be use whenever you are trying to connect other external devices. 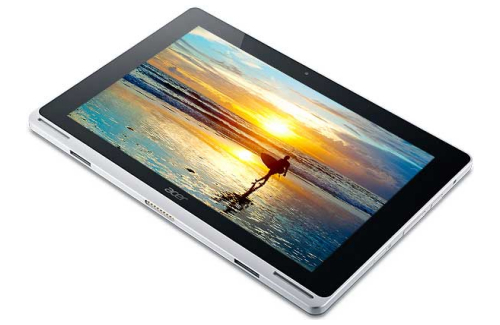 The quad-core Atom Z3745 CPU running at 1.33GHz that powers Acer Aspire Switch 10 can certainly handle Office apps and 1080p video. All up it’s a sweet little travelling PC, or a general purpose surfing and socializing device. 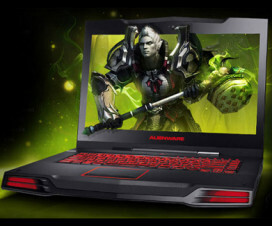 There are many competitors in this space, and Acer has shown that the budget end of the choices we have aren’t lacking in innovation and good general utility.